Barrys News — Posts tagged "light"
Now getting setup for extended camping trips, in the spirit of being one of those "grey nomads", and taking another look at the solar panel requirement. ...that guy is in my home State, WA, and he purchased one of the panels, the expensive one, from a well-known retailer in Perth, WA. Michael, I liked your video, and the others look great too! In response to some of the comments on the youtube site, just measuring current is probably OK. As long as the panels have the same number of cells. Using the cheaper PWM regulator is probably the closer comparison. I own a 120W folding panel, but it is extremely heavy. I have a bad back, and this was what motivated me to buy the 100W flexible panel. The WA Camping and Caravanning show was on recently, and I got to see a new range of light-weight folding panels. 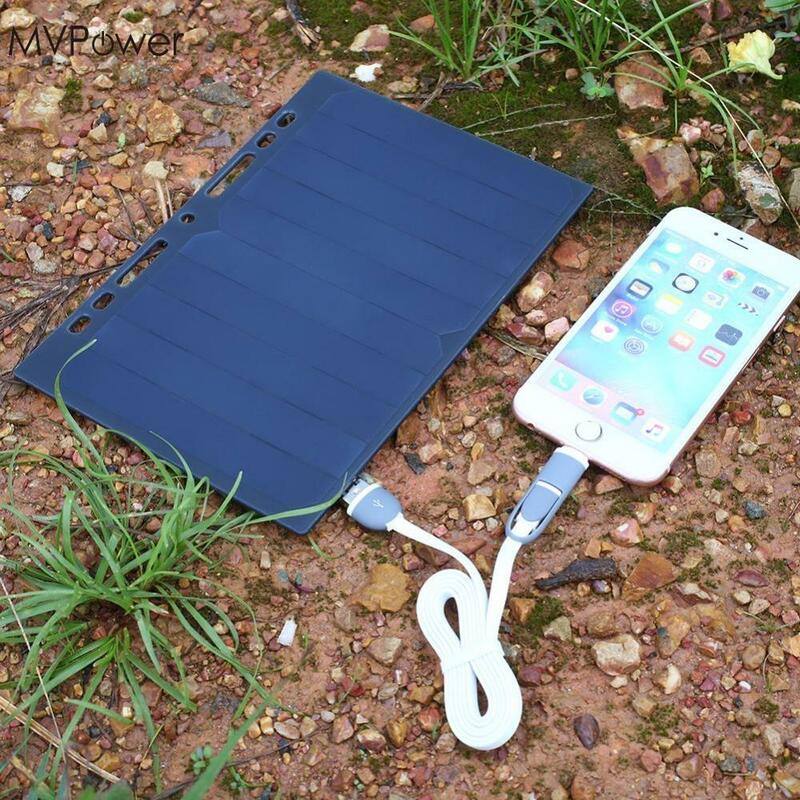 The "250W" panel is very light, just 8Kg. The heavy folding panel and the flexible panel will probably be going cheap soon at a garage sale, and maybe I will have moved on to one of these new light folding panels. Sunyee sell them, and with a discount voucher, the price including delivery, is AU$288. ...looks like the same thing, same price. Most intrigued, quite a small panel for the claimed 250W. We don't expect that much anyway, at best 75% of what they claim. Eagerly waiting to test it! On their website, you can subscribe to receive it via email. There is an interesting article, a chap who is an experienced driver, trucks and caravans, was driving at only 95kmph on a straight road, when his caravan started to sway "for no reason". It was written-off, and he used the insurance money to buy a motorhome. He had taken all the precautions, seemed as had the right equipment, yet the sway still happened. Perhaps the ratio of caravan-to-car needs to be different, that is, a bigger and heavier car and/or smaller caravan. In Australia we have a phenomenon known as "the grey nomads", retired couples or individuals, who have taken to the road with caravan, motorhome or campervan, periodically or permanently. The "permanent" category is very interesting. These are people who have sold their house, or maybe have rented it out, and are on-the-road indefinitely. Those who no longer have a permanent address, have issues with the authorities. The Australian Electoral Commission recognizes "itinerant voters", so voting in Federal and State elections is not a problem -- they just use your last residential address as your location for State elections. However, the driver's license does require a fixed address, as does vehicle insurance. There is a lot of discussion on the forums as to what to do about this, and most people use a son or daughter's address, or a friend. One complication is that you have to keep moving. If residing in a State for more than three months, it is required to have the vehicles re-registered in that State. Apparently, the police do actually check that, if they pull you over for whatever reason. 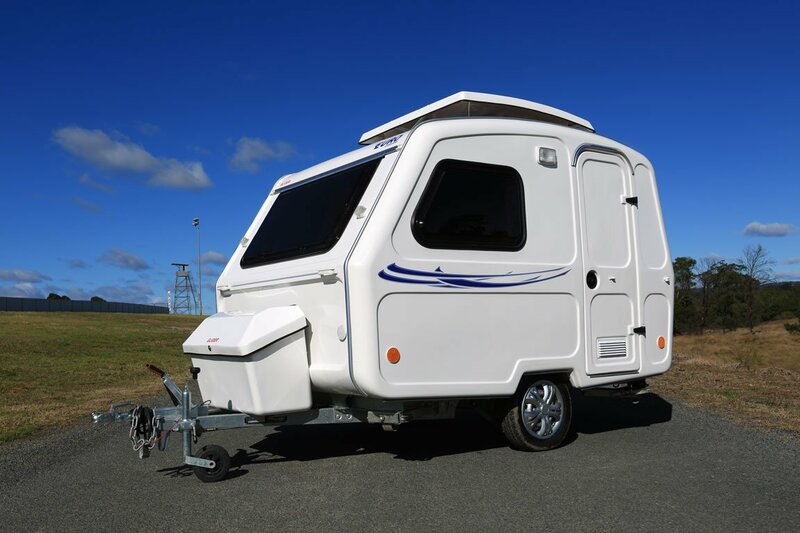 Another possibility is to find a caravan park with very cheap permanent rate. So you pay for it even when not there. That way, you have a permanent address for mail and to come back to. There are some caravan parks that cater to this and charge less while you are away. This is tempting. I am currently "between houses". Sold my place in the countryside several years ago, now living at a relative's house. Was planning to buy a place in a country town, but hey, no rush, this permanent grey nomad gig might be worth a try. Thinking of that 9ft Euro Glider caravan, what a challenge it will be to reduce all belongings down to fit in that van! How about this, a 9ft caravan with ensuite! These are made in Poland, brand name Niewiadow, and imported into Australia as the Euro, and the UK as the Freedom. What got me thinking about this, is last time that I went camping with my tent, it took almost an hour to set everything up. Put up the tent, unpack everything from the car. Hunt around in various boxes, "where did I put that? ", etc. Wouldn't it be nice, I thought, just to stop the car, get out, open the caravan door, and that's it. Have an arvo snooze if I want, whatever. Anyway, it is quite incredible what can be fitted into 9ft. I haven't seen inside this one, just pictures and videos, but I have looked inside the next-up model, 10ft long. I am 5ft 10inches, 178cm, and ceiling height on both of these is about 180cm, so I just make it. Note, comparing the Euro Glider and Freedom Microlite, the models with ensuite are slightly different layout. Fridge and clothes-closet are on opposite sides. I reckon the Euro is a better choice, with fridge on door-side. I think that something like the Glider is a much better choice than a tear-drop caravan or camper-trailer, where you have outside kitchen, in fact have to do most things outside, just go inside to sleep. But, I guess that depends on your preferences, some would say that going camping means being outside a lot. Anyway, it is fun to look at this kind of stuff! 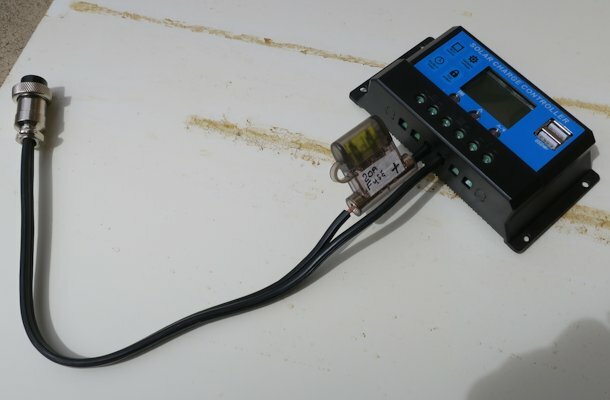 We were discussing these panels on the Aussie bushwalking site, and kimperator posted about his discovery, that he reported weighs just 84gm, and he recorded about the same output as my SE05, that is, around 4.7V at 0.7A, which is 3.3W. This is too good to resist. It is not specifically stated that the USB output is regulated to 5V -- as I have reported in the above post, that is potentially a problem if not. We shall see. Will probably also take my Waeco camping fridge, TV, laptop, folding bed, folding table, folding chair, tent.